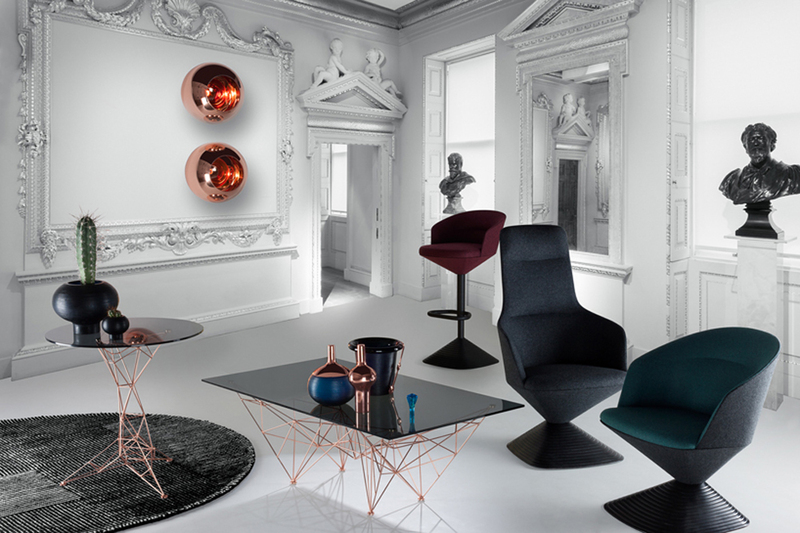 Tom Dixon, the popular British designer, will present at the Milan Design Week 2014, a new collection of furniture, lighting and accessories that refer to the theme of the conventional gentleman’s club. As he said: “A misspent youth spent in the London warehouse club scene, and a more recent series of experimental interiors designed for the new breed of private clubs are the reasons why we have chosen to reinvigorate the fabled British Members Club into a futuristic social environment”. The historic style of British clubs is reinvented in a contemporary version, a modern home even if you are away from home. 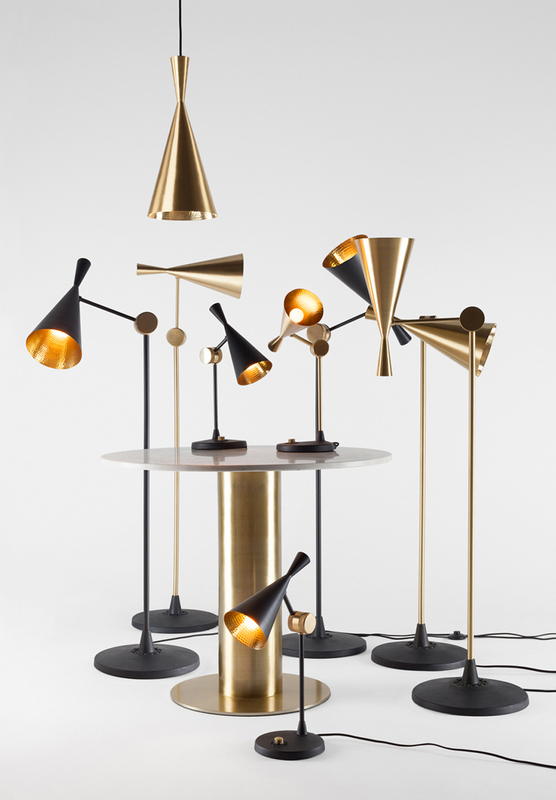 The new club is composed of a palette of bright and metallic colours such as silver and gold which coat the lamps. The new products are an addition to the famous ‘Beat’ family, inspired by the sculptural simplicity of traditional water vessels used in India. 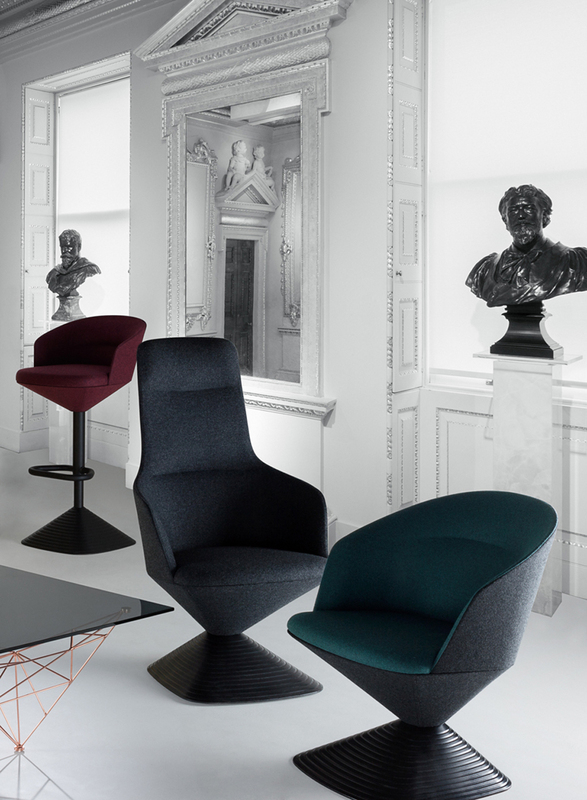 It is series of shapes drawn with sharp and clean lines: the Pivot collection consists of a high-backed chair, a low back chair and a bar stool – all made with internal metal structure, , moulded foam upholstery and rotating die-cast aluminium base. 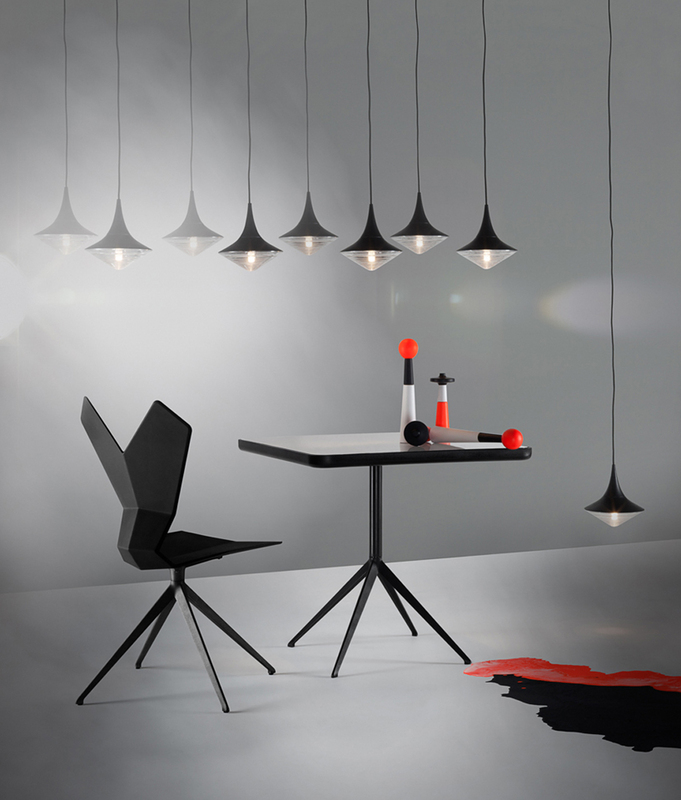 The entire collection is an exercise of minimalism expressive, the lights are instantly recognizable, creating glittering sparkles and creating a warm, shimmering glow. In order to make the environment as welcoming as possible, there is also a tactile table top made from durable polyurethane. The Y Table comes in two sizes and in two different finishes – a plain black top and with an enamel insert – and it adds a vibrant pop of colour.